The Ladies were a bit reluctant to attend the first Erie County Fair in 1841, so officials announced: "Constables will be on grounds to preserve order and the visits of the ladies will be welcomed to the exhibition." Thus reassured, the ladies tied on there bonnets, and sallied forth. They even attended the plowing matches, one of the main attractions of early fairs, and it was reported "more than 2,000 people gathered in carriages and on horseback. A great many ladies, lured by delicious weather and the interest of the occasion, graced the attendance, adding interest and brilliancy to the scene." Even in those days the ladies did not like to miss any of the fun. 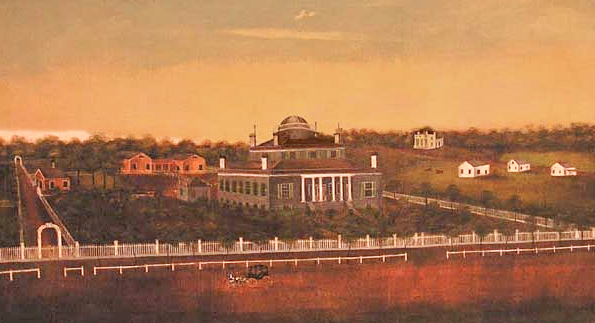 The Erie County Agricultural Society had been formed in 1819. The first large gathering of livestock in the Village of Buffalo was that at the first county fair, held in Buffalo in autumn of 1820, before the erection of Erie County, and the gathering may have been the occasion of some transactions in livestock. Dr. Cyrenius Chapin caused twenty head of cattle and sheep to be driven in from one of his five farms; and another farmer, "rather against his will," selected forty of his best sheep and sent them in to the fair, but it did not become an annual event till 1841. On Wednesday, October 6, 1841 a fair was held in Buffalo's old Courthouse. 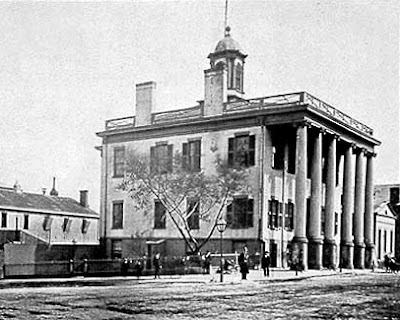 This was a white pillared building that stood on the present site of the Buffalo and Erie County Public Library. Exhibits of needlework, fruit, flowers and vegetables were arranged on tables in the grand jury rooms, and behind the courthouse were the livestock and farm machinery. Among the premiums awarded were a first of $10 to Stephen Osborn of Clarence for the finest stallion; Lewis F. Allen of Black Rock received $6 for the best full-blooded bull. The following year the fair was held on Tuesday October 11, on the grounds of the Dr. Ebenezer Johnson Estate on Delaware Ave. at Johnson Park. 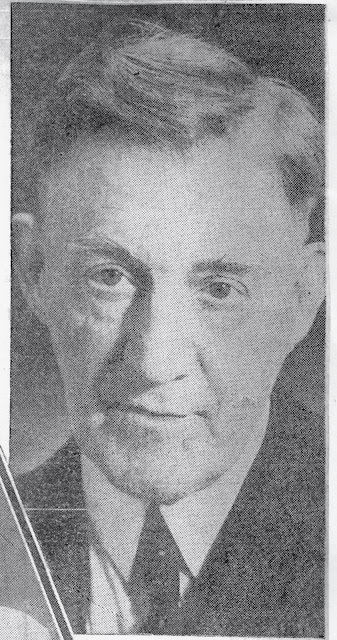 Premiums up to $400 were awarded and a few of them were; Best Stallion, Philip Enders, "Belport", Amherst $6; Best Durham Bull -- Cha's Sweetapple, Colden, $6; sheep--Best fine wooled buck--Levi Pratt, Aurora, $3; swine--Best boar royal-V.Gould, Hamburg, $5. That year, premium crop Indian Corn yielded 57 bushels to the acre: oats, 67 bushels, and barley, 42 bushels. There was also a fine display of Honey, apples, squashes, fowls, flowers--and the cheeses entered by H. Arnold and Truman Austin of Hamburg "were truly magnificent." Fine Patchwork quilts, rag rugs and samplers were among the household articles exhibited. One enterprising husband and wife team exhibited silk of homemade manufacture. Matthew Conklin of Clarence won $3 for the best silk cocoons and $2 for the best 20 skeins of silk. His wife was awarded a diploma for "one pair of superior silk stockings." Crowds at the early fairs, really turned out to watch the plowing matches and marvel at the powerful horses pulling with all their might. First the ground was measured off and staked. Each contestant was allotted a quarter of an acre, and the time allowed was one hour and fifteen minutes. In 1842, a beautifully matched chestnut team, belonging to Peter Curtiss of Buffalo, worked the hardest, plowed the deepest and finished in 51 minutes, winning the first premium of $10. A team belonging to J. Frick finished second in 54 minutes, but did not plow so deep. There was only one ox team entered, a team of young red oxen belonging to Henry Johnson of Lancaster. 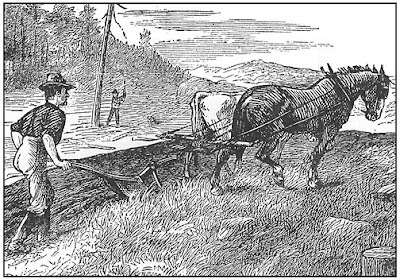 There was no competition, but the oxen plowed the ground in 47 minutes, so were awarded second premium of $7. By 1850 it was thought wise to find a country location for the fair, so that year it was held in Aurora. In 1851, it was in Lancaster, in 1852 in East Hamburg, 1853 in Cold Spring, 1854 in Aurora again. In 1855 the first admission fee, 12 1/2 cents, was charged. Then for nine years the fair was held near the Indian Church in West Seneca, and an omnibus left Exchange street every half hour for the fair grounds. 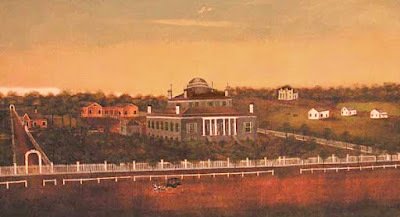 In 1866 and 1867 the location was changed to Springville. In 1868 the site was Hamburg where it has been held ever since. The annual Exhibition and Fair of the Erie County Agricultural Society will be held on the grounds of the Society at Hamburgh on Tuesday, Wednesday and Thursday Commencing September 30th. A liberal and comprehensive premium list is offered which cannot fail to draw out a good exhibition. The grounds of the Society which are among the most beautiful and picturesque in the State, have been put in capital order. The half mile track will be in first rate condition. In addition to the liberal Society premiums for speed, a special purse of $100 is offered by C.J. Hamlin, Esq., to be trotted for by horses six years old or under, raised in the county, and whose sires are kept in the county for stock purposes. A refreshment saloon will be kept on the grounds during the fair by Daniel Prindle. The opening of the Buffalo & Jamestown Railroad has added greatly to the facilities for reaching the grounds. Special trains will be run during each day of the fair. Don't forget The Historic Buffalo River Tour. For 30 years the best way to see the grain elevators by boat. Dennis Gallagher "Any Style, Any Place, Anybody"
Dennis Gallagher would like to defend the world's wrestling championship he won 48 years ago and never relinquished. The Gallagher spirit is willing but the Gallagher body is weak. For Dennis is 71 now and although he looks a score years younger and still carries himself with all the poise of a true athlete, the verve has left his muscles. In fact when you look back at the record of the Buffalo champion, you wonder that he is still included in our list of active citizens. Thirty three winters and summers he spent in the wrestling game when there was little taint of suspicion associated with the grapplers, when it was at it's peak and tough. He gave away tremendous odds in weight for at his best Dennis Gallagher tipped the scales at not more than 175 pounds. He met all comers and took the short end of the decision very seldom. Grayed, with bushy eyebrows, springy step, and enough physical power left to hold his own in some parts, Gallagher entertains few briefs for the present crop of rasslers. "The very best of today would not even be third raters back in the nineties," said Gallagher. "Frank Gotch who was of a later day than I, could lick three or four of the better men today in the same night. And there were some pretty fair wrestlers before Gotch's time. Today, they don't wrestle as we knew wrestling. They act. If I were 40 years, yes, even 30 years younger, I would like to climb under the ropes with some of our modern wrestlers. But.....well, just but. Why waste time in day dreaming." 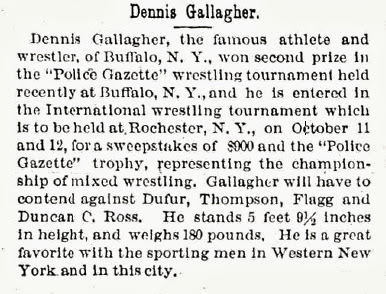 DENNIS GALLAGHER, BUFFALO'S FAMOUS WRESTLER. in this city in 1864. When a mere youngster he and his brother used to wrestle together. Martin and William Muldoon, the Jap, Sorakichi, Quigley and others. Dennis, and if you were Irish you'll pronounce it Dinnis, won the world's three style wrestling title from William Muldoon in Turn Verein Hall, Sacramento, in 1888. He added two styles in order to meet the challenges of foreign invaders, established himself as the king and never vacated his throne. The five methods were catch-as-catch-can, Graeco Roman, side hold and harness, collar and elbow and back hold. Dennis never lost his title because no man could ever beat him three out out of the five styles. He opened a concert hall where Kleinhan's Building now stands but sold out to Mike Eagan to tour Europe. Eagan later joined with Mike Shea. When the Academy of Music was in it's heyday in Buffalo He was invited to play the part of "Charles the Wrestler" in "As You Like It," a play starring Margeret Mather. It was the only "fixed" match he ever participated in, that with Orlando. Dinny Gallagher, the First Ward Irishman, was a magic name in the 1880's and '90's throughout the world. He was famous in Paris. He was the toast of London. 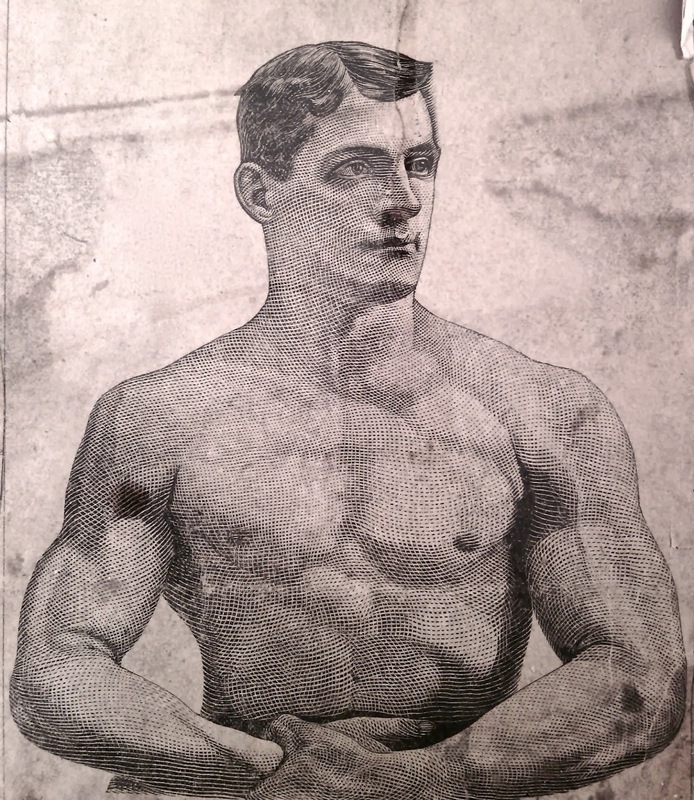 He was a 165 pound Irishman who met every heavyweight wrestling challenger in the world. And won. That was in the days when they wrestled. Dennis won every wrestling title the world knows. He won the catch-as-catch-can crown, Graeco Roman, side holds or Yankee style, square holds and back holds titles. "Any style, any place, anybody," Dinny used to say. I wrestled 'em all, not this play acting stuff. "These actors today are Hippodromers, in my time I could have taken three or four of them the same night." Dinny wasn't boasting, 62 years ago he won two titles in two nights at Niagara Falls. Dennis weighed 162 then. The first night he threw Georges LaGrange, the French champion, in 15 seconds. The following night he wrestled the 300 pound strongman, Sebastian Miller, a German champion, and won. This took Dinny 15 minutes. "He was pretty hard to reach around," he explained a bit apologetically. For all this he got $50. Today, men like Gorgeous George, the Great Togo and Lord Blears, average $50,000 to $70,000 a year. Dinny's fame was at it's peak when he wrestled for the Pelican Club, a noblemen's organization in London, and for the jockey Club of Paris, in the famous Folies Bergere. There he defeated Antoni Perri, the Terrible Greek, and got $1,000. That was his biggest purse. At the sunset of his career in 1898, he lost a non title match with Ismaiel Yousouf, the Terrible Turk. Yousouf packed 380 pounds on his six foot seven inch frame, and caught Gallagher at a time when he hadn't fully recovered from an attack of blood poisoning. Dinny operated a tavern at Main and Clinton Streets. People jammed it just to get a look at him. Mothers named there sons after him. Young men followed him, imitated his style of clothes. It took 89 years to pin Dennis Gallagher who passed away on September 7, 1951. "When I go," he used to say, "I want a quiet funeral, nothing elaborate." On September 11, he had a quiet funeral, nothing elaborate. Then they took Old Dinny to quiet, tree shrouded Holy Cross Cemetery, where he took his first...and final pin fall.